A graveside service for Raymond Hernandez will be at 1 p.m. Saturday, Sept. 30 at Fern Park Cemetery in Natchitoches. The family will receive friends from 10 a.m.-12:30 p.m. at Blanchard-St. Denis Funeral Home in Natchitoches. Raymond, 74, and a resident of Natchitoches, passed away Thursday, Sept. 28, 2017, in Pineville. He was born April 7, 1943, in Natchitoches to Andrew and Bertha Hernandez. He was preceded in death by his parents and a brother, Donald Hernandez. 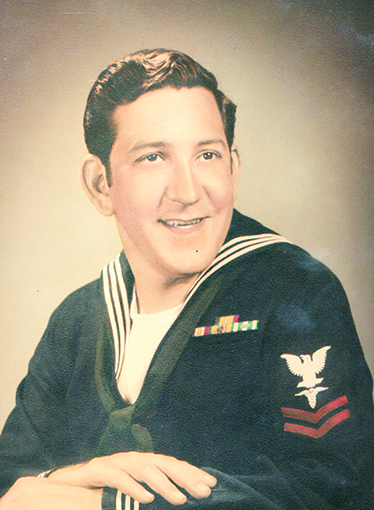 Raymond proudly served in the United States Navy and was a corpsman in the Vietnam War. He will be dearly missed by his family and friends. He is survived by his wife, Sherry Lynn (Simpson) Hernandez; daughters, Tanya Williamson and Sonya Grigg; brother, Kenneth Hernandez and wife Oneitha; grandchildren, Chase Holland, Forrest Grigg, Adrian Grigg and Cheyene Grigg; and great-grandchildren, Emily Grigg and Everett Grigg. Those honored to serve as pallbearers include Ronnie Smith, Joe LaCour, Allen Williamson, Nicholas Grigg, Adrian Grigg and Forrest Grigg. In lieu of floral contributions, the family requests donations be made to The American Cancer Society in Raymond’s name.